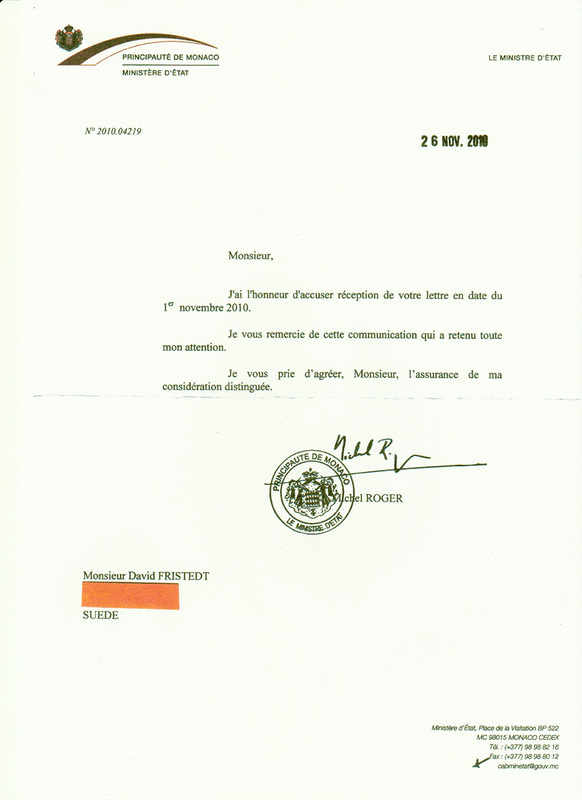 Due to a recorded criminal complaint in June 2012 against Michel ROGER, the current page will remain under construction until further notice. Meanwhile, BIMCAM suggests to its many readers to carefully study the last GRECO-report, one which goes hand in hand with the present topic. The report urges Monaco to publish it, but on BIMCAM at least, it is sure to be read even outside Monaco. Attached document #6 of the ever so ongoing criminal complaint of the 6th of June 2011 (see topic 10 in the left margin), for all legal purposes.